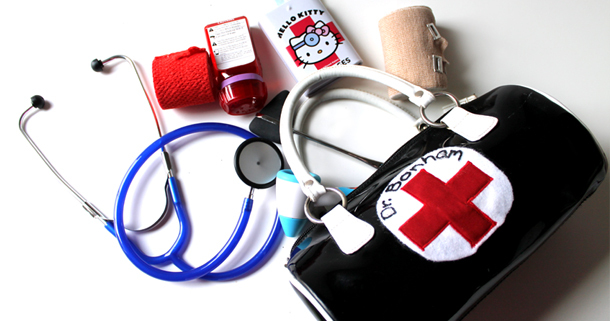 Make your own kids' "doctor" kit with real working tools for the same price as a cheap plastic one! 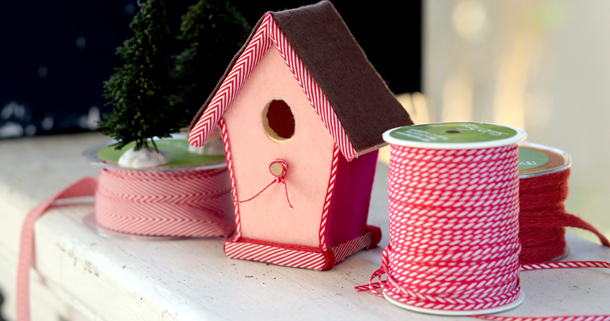 Cover a $1 birdhouse in felt and ribbon to make a February bird village. 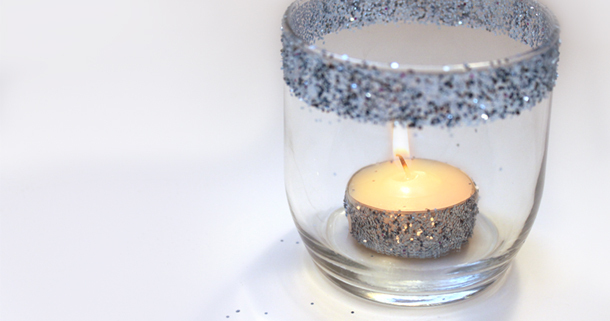 Use double sided tape to make sparkly candle holders and tea lights! Check out the most popular posts from last year. 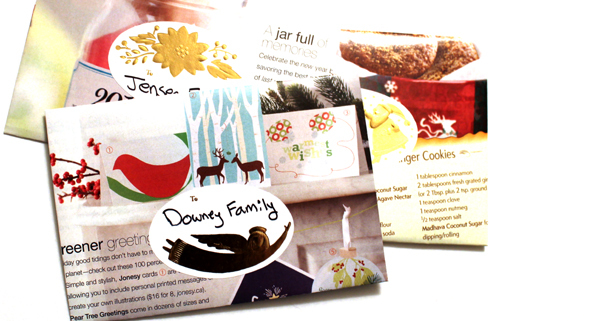 Make funky envelopes from materials you already have at home. If you are reading this post, Something is Terribly Wrong! That's right. 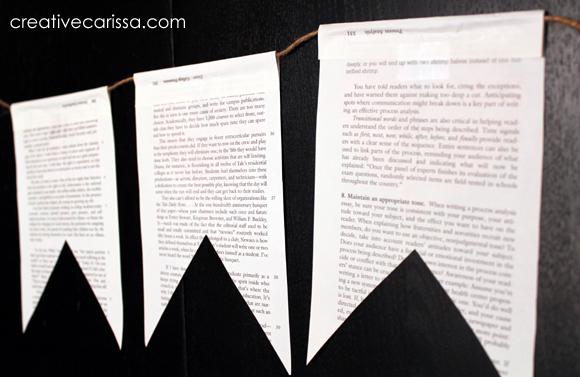 The only possible way you could be reading this is if you are looking at Carissa's Creativity Space through a blog feed reader of some kind. This means you are probably following me in the wrong place! 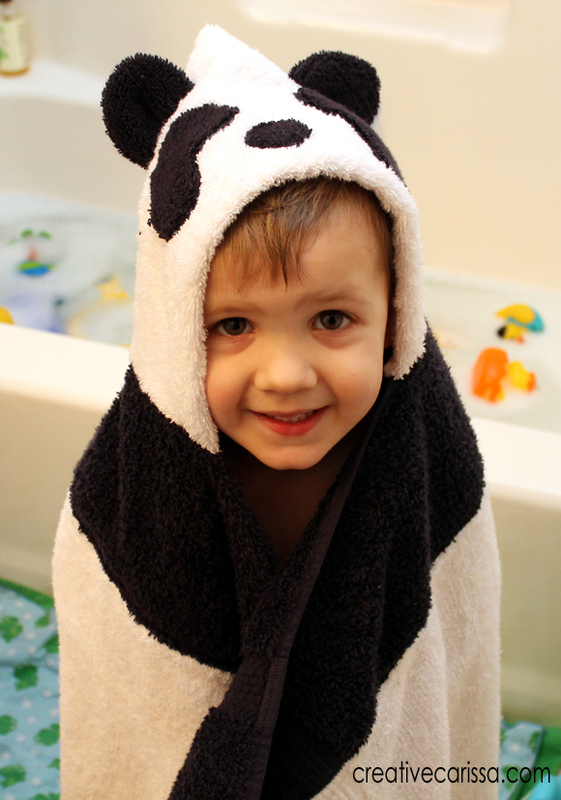 You may have noticed (or maybe you haven't) that it's been really really quiet around here. 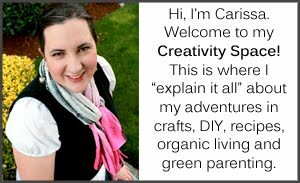 That's because back in February, I re-launched Carissa's Creativity Space as Creative Green Living. If you want to keep up with all my tutorials, recipes, giveaways and more please use these links to re-follow me the way that make the most sense to you! Daily Emails - get an email every time a new post goes live! Whew! That's a lot of ways to stalk me! 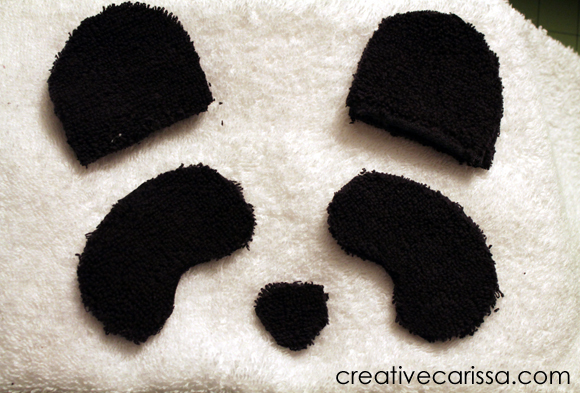 If you are already following me as Creative Green Living, THANK YOU! I know some of you missed the first announcement so I just want to let you know I'm still here! If you have not seen the new site yet, please pop over. I'd love to hear your thoughts on my new look. 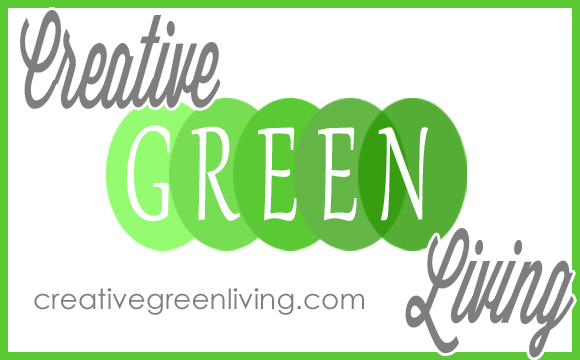 I am so excited to make the announcement that next week Carissa's Creativity Space is officially becoming Creative Green Living! I've been blogging in the same place for the last 6 years and am glad to have a more focused space with room to grow. I know change always comes with questions so I want to take a minute to answer some of them here. 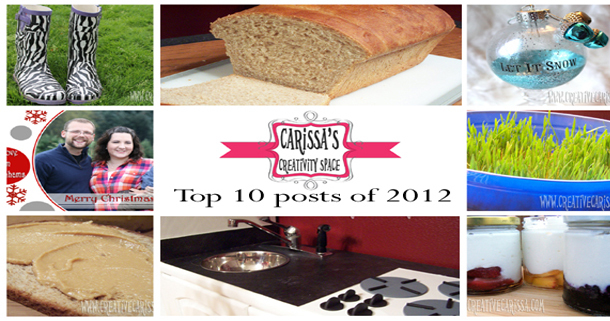 I started Carissa's Creativity Space a little over 6 years ago in the pre-facebook days. Early posts were about things like having a bad day at work, missing Seattle, a recipe I made for dinner, pictures of my dog, etc (the kinds of things that would go on Facebook...if I had been on Facebook then). It evolved to be about knitting and cupcakes. About two years ago it became a much more focused endeavor about crafts, recipes, and gardening with a special emphasis on tutorials. I was writing the kind of posts I wanted but I also felt limited by my site's history. 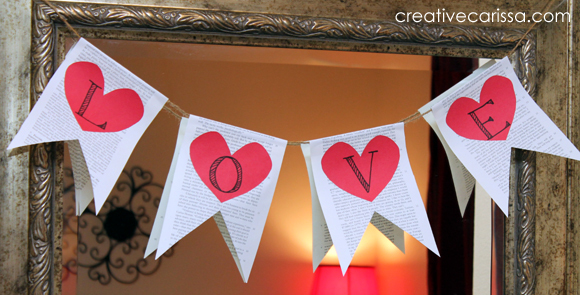 Changing to Creative Green Living lets me keep writing about crafts (my first love!) and recipes but allows me some more room to write about other issues I care about like green parenting and easy green lifestyle choices. I realize most people have probably never noticed (although it drives me bonkers!) 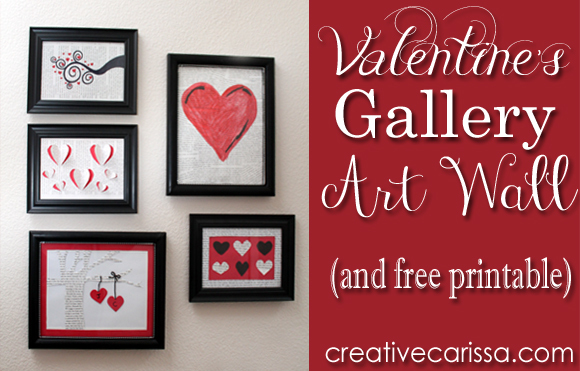 that my site's name is Carissa's Creativity Space but my site's address is CreativeCarissa.com. They have not matched for 6 years and this issue has really been bugging me for the last 2. Creative Green Living will live at CreativeGreenLiving.com. 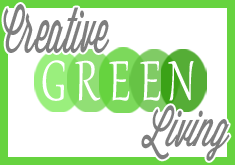 Creative Green Living is also a more appropriate name name because it tells you what the site is about. 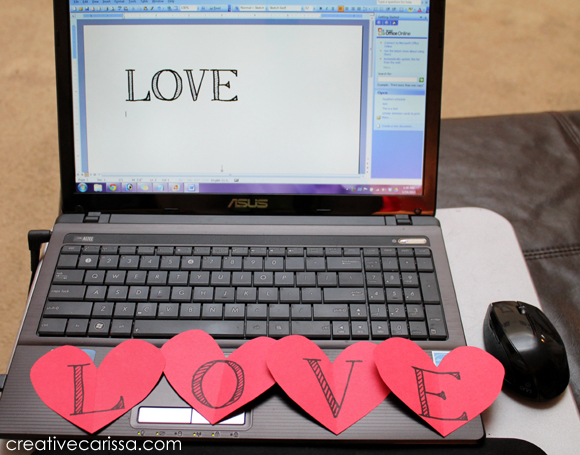 If you aren't already familiar with my site, and hear Carissa's Creativity Space, do you know what the site is about? Probably some girl named Carissa doing, uh, creative stuff? It's a little vague and I want to help clear up the confusion there. Creative Green Living will open more doors for more people to join us and find the great stuff the site has to offer. Third: More Space for Features! What about the posts that live here? All the previous posts from Carissa's Creativity Space have already been moved into Creative Green Living so that no project will be left behind. Over the next week, an auto re-direct will be set up so if you have a previous project pinned or bookmarked, you'll still end up in the right place! For most of the last 6 years, I have worked full time and blogged in my spare moments. Which sometimes meant going weeks in between posts. I am now a full time blogger and want to start posting more regularly (probably 5-7 times a week) but held back in part because I didn't want to flood the inboxes of e-mail subscribers! I realize that many e-mails a week can get tedious for those of you who get every single post in your inbox. 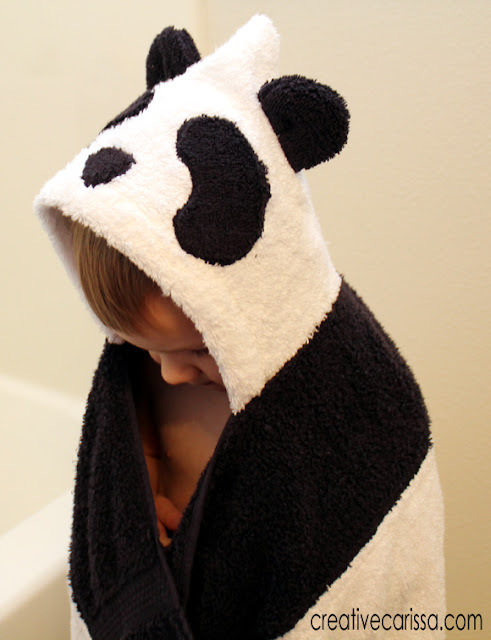 Creative Green Living will give you options for how to subscribe. You can choose a weekly newsletter which will give you a re-cap of things that happened on the site that week OR you can also choose to subscribe to individual posts still. It's up to you! 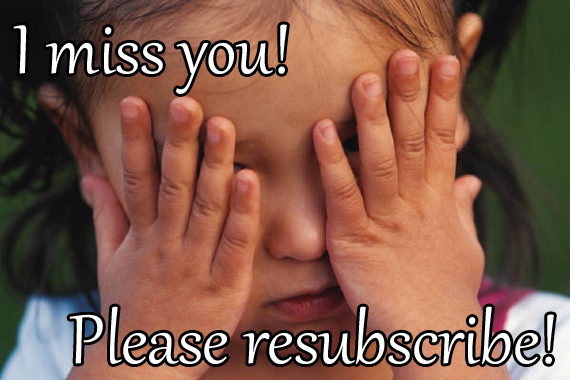 Want to set up your e-mail subscription, pop over here and choose how you'd like to subscribe. Thank you all so much for following me on this journey! It means a lot to me that so many of you read my e-mails and show up on my site each week. I know you will love to new site even more. I'm excited to see what the next year has in store! 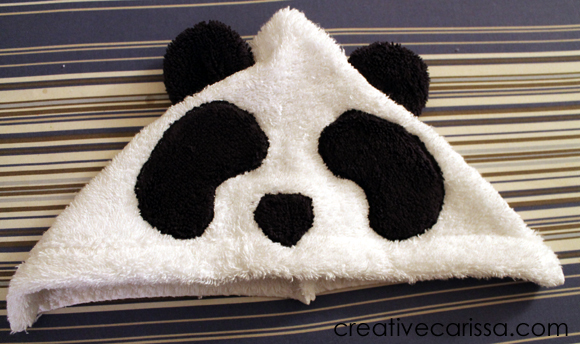 You all know from my love of dollar store crafts that I have a special place in my heart for affordable crafting. I have discovered a new website this week that is about to give the dollar store a run for their money! They have SO many affordable supplies. Most of their things are way less than you'd get them for in a big box craft store. They are also having a sweet sale right now where everything on their site is an extra 15-25% through Feb 4th. Right now they are focusing on their "Back to Basics" stuff. Some of the best stuff on their site is in that Craft Basics section! Wreaths, yarn, wood crafts, cutting tools, fabric crafting...so much stuff! These are just some of the things I ordered. I hope it gives you a feel for the kinds of things on the site and their everyday awesome prices (the prices shown are not the sale prices...if you order during the sale, you will pay even less). Keep in mind that due to the sale, I got 15% off on everything shown above as well! I've got some great projects coming up with some of the stuff I ordered but in the meantime, make sure you check out their sale. 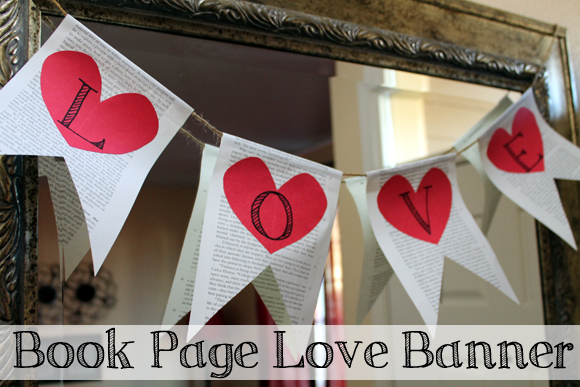 While you're at it, be sure to like them on Facebook so that you can keep up with future sales and inexpensive craft ideas! I am posting this as part of a campaign through The Blueprint Social. I have received compensation including free product from Consumer Crafts for posting this review and linking to their site. All opinions expressed in the review are 100% mine. I was not paid to give a positive review. They earned my praise by being genuinely awesome. See my full review policy here. When I grew my garden last year, I grew several varieties of yellow tomatoes. Part of this was motivated by my fascination with non-grocery store colors of food (purple potatoes, yellow zucchini, purple carrots, etc). The other part was motivated by an amazingly delicious yellow tomato soup I was served while touring the English countryside with my grandparents when I graduated from high school. 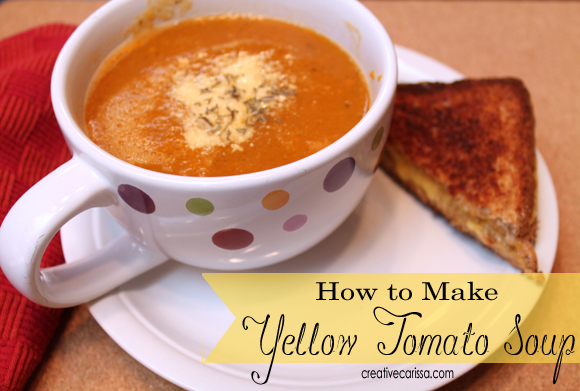 This soup was amazing enough that I remember it more than a decade later and it motivated me to grow yellow tomatoes just to recreate that soup. It was that good. And I think I did it. When I told my husband we were having yellow tomato soup for dinner, he was skeptical but he is now a believer, too. You'll never believe how easy it is to make tomato soup. Just add all the ingredients to a pot, simmer and then blend. You'll never want to go back to the canned stuff after this. Add all ingredients to a large pot and stir to combine. Bring to a boil. Reduce heat and simmer uncovered about 30 minutes to allow flavors to blend. Taste and adjust salt and spices as necessary. Simmer an additional 10 minutes. Use an immersion blender (I like this one ) to blend soup until smooth. Serve hot and garnish with Parmesan cheese and a dash of dried thyme or fresh basil leaves. This batch turned out a little orange looking because of the orange brandywine tomatoes. To make your really yellow, use Taxi tomatoes. 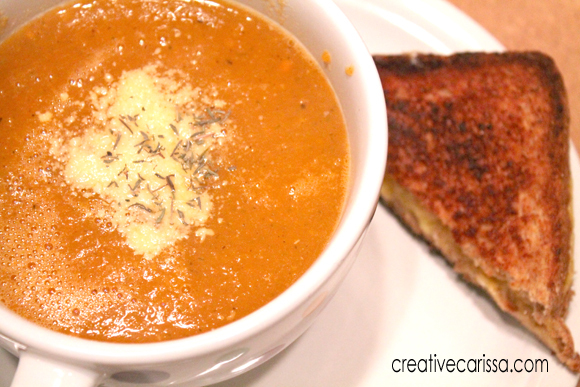 You can also use this recipe to make red tomato soup. 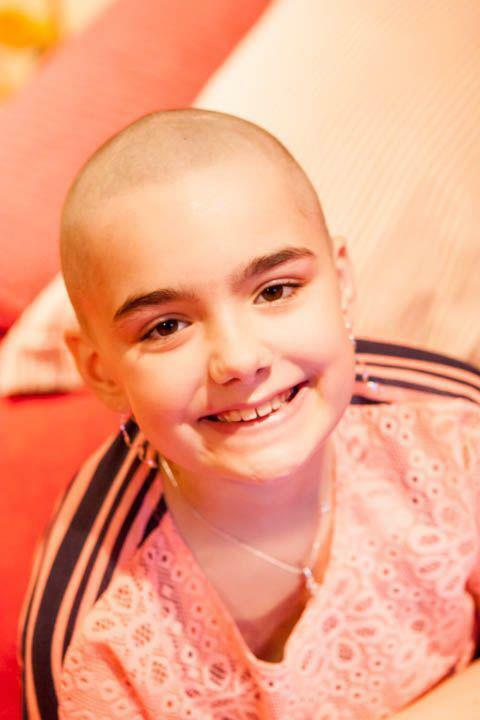 Cards for Carmen - Will You Help? Meet Carmen. 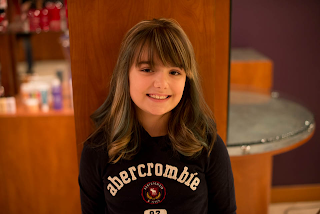 Carmen is a bright, thoughtful, sweet 8 year old girl who loves baking, cupcakes and her family. Carmen was also recently diagnosed with Extraosseous Ewing's Sarcoma...a rare form of cancer. I first met Carmen's mother, Jaci (like Jackie), when we were both in high school and participating in a community program for high school girls together. I've since moved away but I've remained connected with her family via Facebook and through my mom who is also friends with her family. 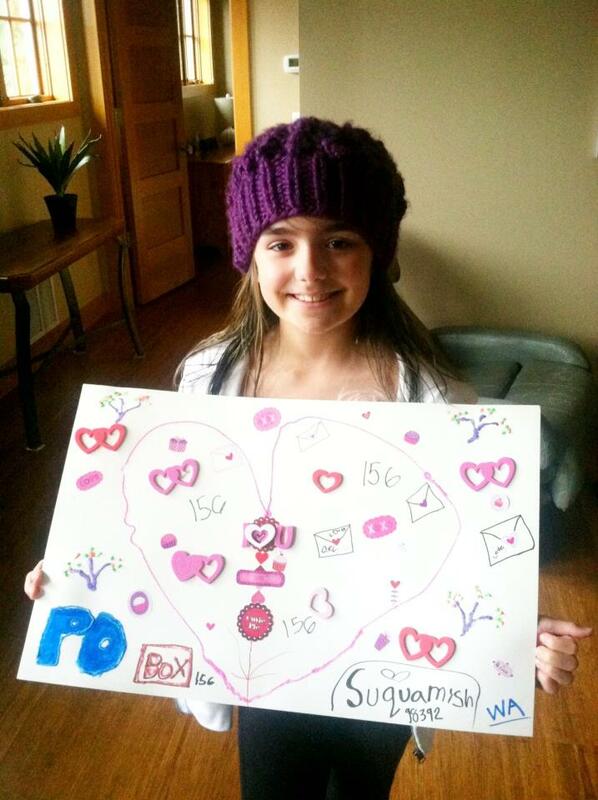 So of course hearing that such a great kid has this huge cancer fighting journey ahead of her hit my heart. And if doing something as simple as sending a card to this great little girl will help her battle against cancer, I can definitely find some time and a stamp to make that happen! I'm telling you guys because most of my readers are either 1) Crafters and/or 2) Moms. And I know that crafters, moms (and especially crafty moms) are the kinds of generous people who might want to help make a little girl's day by dropping a card in the mail. What kinds of cards would be good? If you're interested in following Carmen's journey, you can also stay connected with Carmen on the Caring for Carmen Facebook Page and the Caring for Carmen website. Thanks so much! 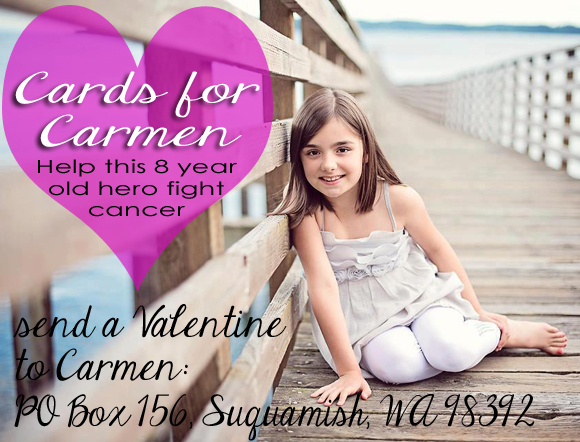 Please drop me a comment and let me know if I can count on you to help send cards to Carmen! 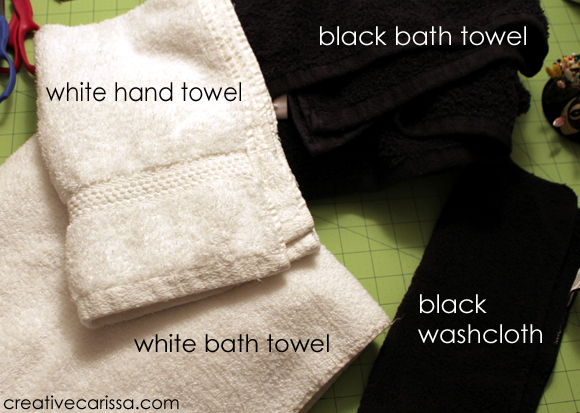 Fold in the front edge of the towel past any band that might be on the towel. Using white thread, sew across. This is the front edge of your hood. Iron down the eye patches and nose. Use a zig zag stitch to applique these pieces to the hood. Until recently, I have not been one for "themed" Valentine's decor. In fact, I normally don't decorate for Valentine's Day and opt for cranberry colored winter berry decor to last from Christmas until Spring. 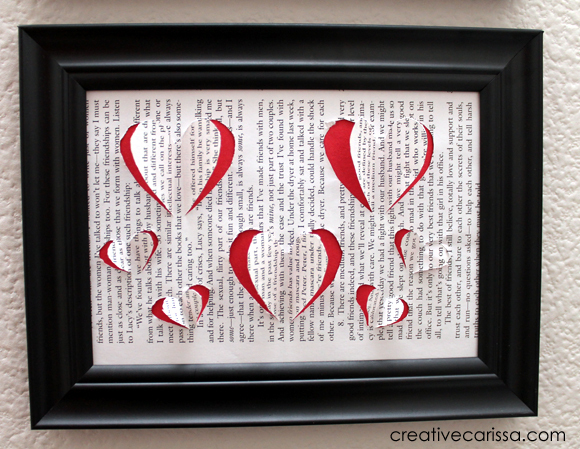 This year, though, I have been loving book page crafts (it all started with my book page pumpkins) and decided I wanted book pages and red hearts to be my 2013 Valentine's Day theme. Considering our level of book nerdiness and the size of our library, books are especially appropriate for us. I have a narrow wall in our downstairs half bath that was more than ready for an art update. I picked up 5 frames from the dollar store (2 8x10 size and 3 5x7 size) and got to work. To make this one, I glued down several pages to the back of the default image paper than came in the frame. 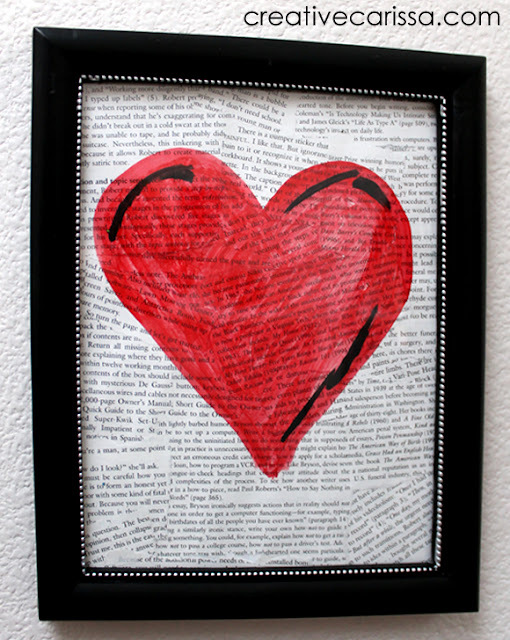 Once it was dry, I painted a heart with watered down red acrylic paint and added some black accents. I like that the heart is see through and you can still see the words on the back side. 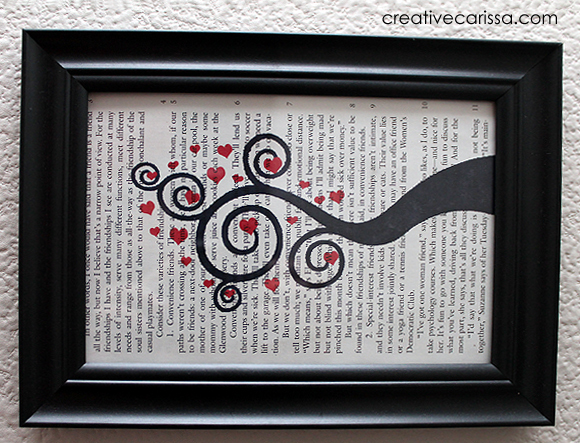 For this one, I printed out the lyrics of the song that was sung at our wedding (A Page is Turned by Bebo Norman - totally ties into the book nerd theme!) onto a piece of cardstock and used it for a mat. 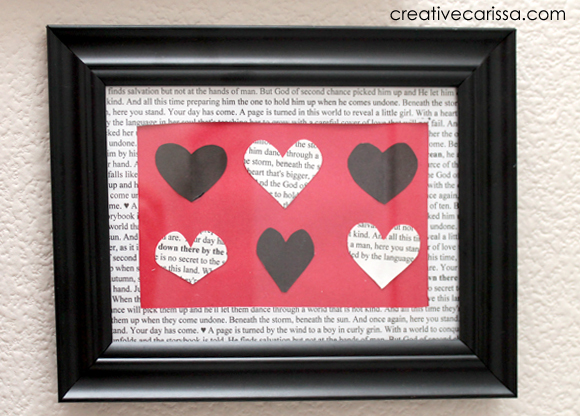 I cut some extra hearts out of the lyrics and glued them down onto a piece of red construction paper with some colored hearts (I decided on black for contrast). This was inspired by this pin. Sadly, there is no original source - it just points to a tumblr blog. 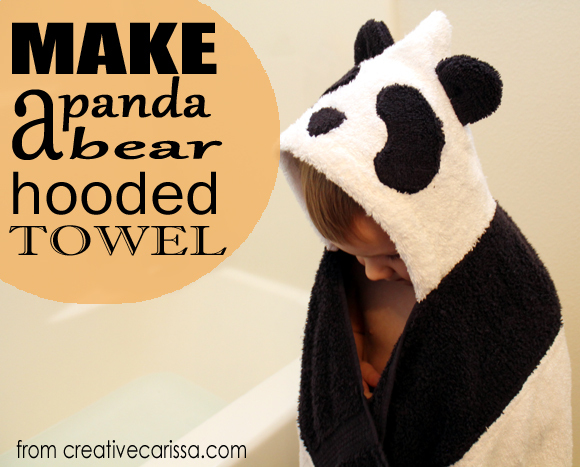 Let this be a lesson - if you're a blogger, watermark your stuff! That way if you picture becomes unmatched from the source people can find you. But I digress. 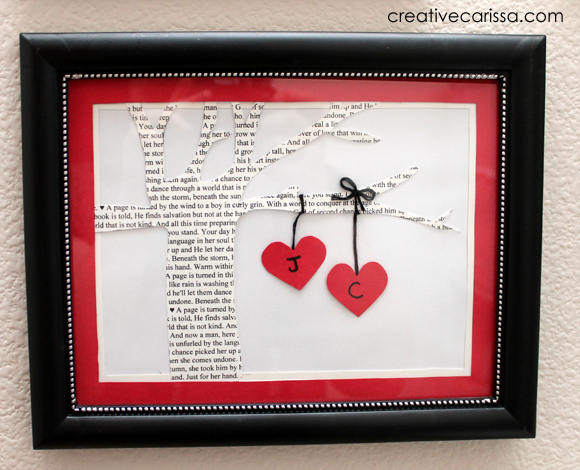 The tree is another piece of cardstock with the Page is Turned lyrics on it. 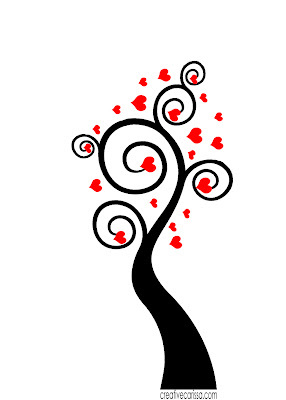 Then I tied red hearts onto the branch with embroidery floss. Mine is admittedly not nearly as pretty as the original but I still like it. This was inspired by this 3D Butterfly Art. I turned a book page sideways and drew hearts on the back. 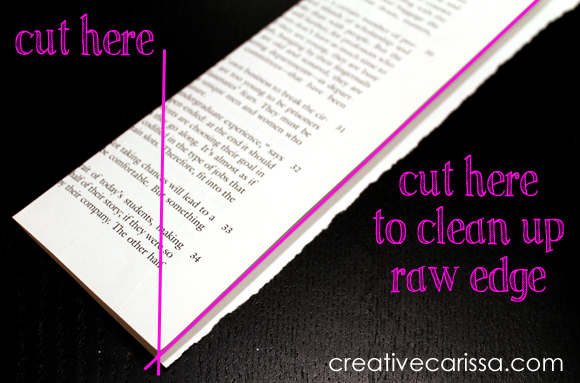 I cut around most of the edge, leaving a core in the middle to keep the heart attaached when folding up the sides. I slipped a piece of red construction paper in behind it and put it in the frame in front of the glass. To make this one, I cut a piece of book paper to 5x7 and then told my printer to print the graphic as if it were a 5x7 photo. I should have reduced the amount of ink it used because it did take a little while to dry but I really like how it looks. 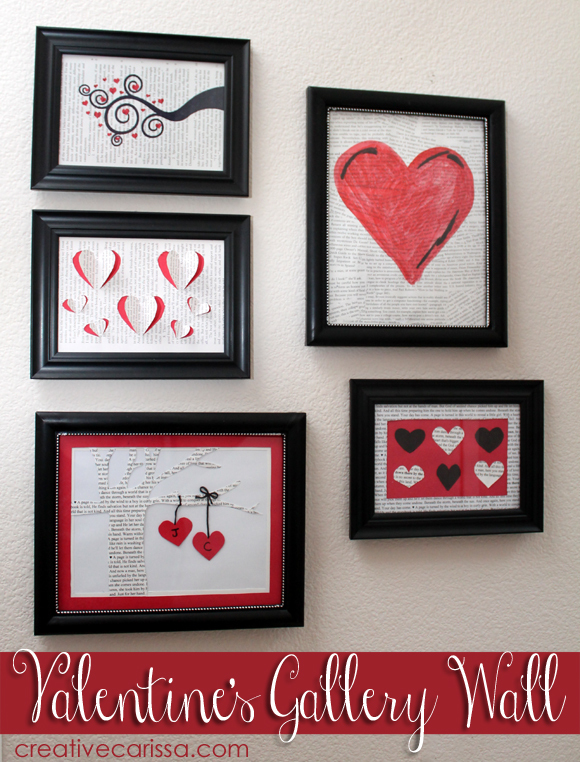 If you like it, I'm sharing my printable graphic with you guys. 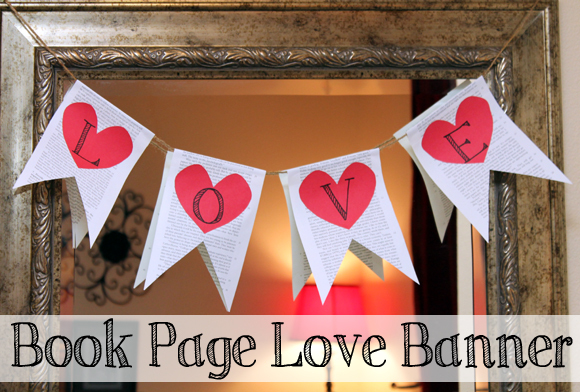 You can try printing it on a book page like I did or onto regular cardstock for use in your valentine crafting. 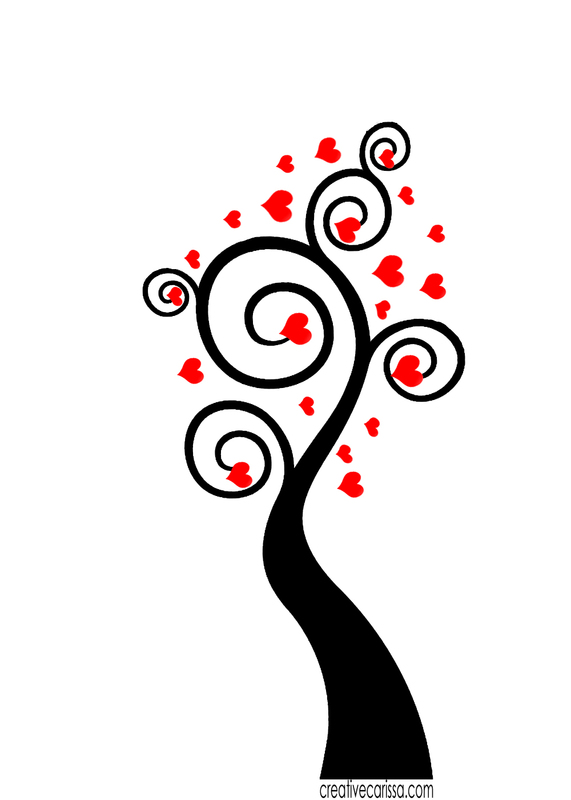 Click here to download the full size heart branch graphic for printing.